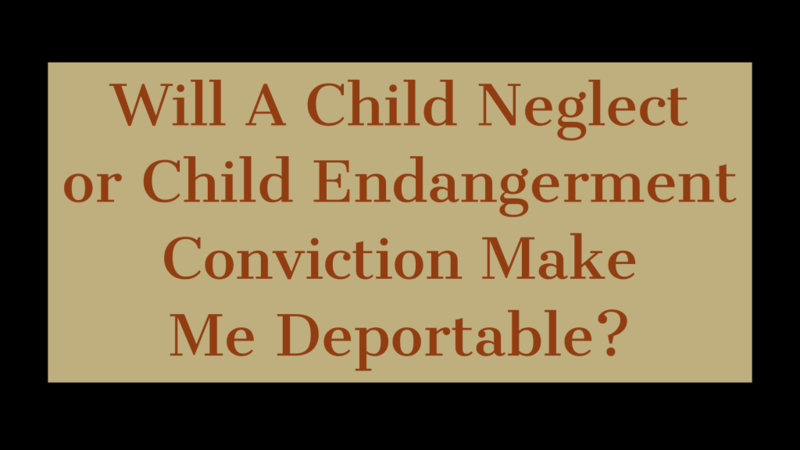 Will a Child Neglect or Child Endangerment Conviction Make Me Deportable? What is the Federal Immigration Law relating to child abuse? Any person who is not a United States citizen and is convicted for a crime of child abuse is deportable. It doesn’t matter how long you have been in the United States or if this was a first offense or if you are a good person. The statute is clear. Now, you may have what is called a “form of relief,” available, but that is another issue. That is kind of like an affirmative defense. But a one time conviction for a child abuse offense can and usually will lead to the government issuing and filing a Notice to Appear, initiating deportation proceedings. For a child endangerment conviction under state law to constitute a “conviction for a crime of child abuse,” it must contain, “a knowing mental state coupled with an act or acts creating a likelihood of harm to a child.” Matter of Mendoza Osorio, 26 I&N Dec. 703 (BIA 2016). What is the Pennsylvania state law relating to child endangerment? 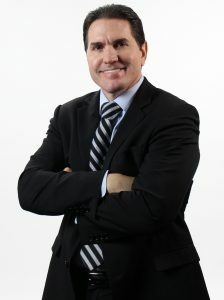 The Pennsylvania law relating to child abuse requires the state to prove that a parent or guardian “knowingly endangers the welfare of the child by violating a duty of care, protection, or support.” The State must prove that the parent or guardian failed to act properly in protecting the child’s physical or psychological welfare. Why isn’t a conviction under Pennsylvania’s child endangerment statute considered a conviction for a crime of child abuse? Unlike a New York child endangerment statute which was found by the BIA to be a “conviction for a crime of child abuse, this statute does not require the state to prove that the action by the parent or guardian is likely to injure the physical, mental or moral welfare of a child. Therefore, the key component of any states child endangerment statute is whether the statute requires the state to prove that there is a reasonable probability of harm to the child. Is Pennsylvania’s child endangerment statute a crime involving moral turpitude? Now that we’ve established that a conviction under Pennsylvania’s Child Endangerment statute does not qualify as a conviction for a crime of child abuse, let’s examine whether it qualifies separately as a crime involving moral turpitude, as a separate basis for deportation. The Third Circuit held that a conviction under this statute is not a crime involving moral turpitude. What does that mean for someone convicted of child endangerment in Florida? This is an extremely broad statute that covers a wide range of actions. The more aggravated the allegations, the more danger a conviction under this statute could be considered a deportable offense. For example, Child Neglect with great bodily harm could be considered a crime involving moral turpitude by the courts and could be considered an aggravated felony as a crime of violence if the sentence is 1 year or more. The fact is that there just isn’t a whole lot of case law related to the statute and its basis for deportation to give us firm guidance. If you are not a United States citizen and you are charged with Child Neglect, Child Endangerment or Child Abuse in Florida, call an experienced immigration lawyer to discuss the possible immigration consequences and negotiation options that may be more immigration friendly.